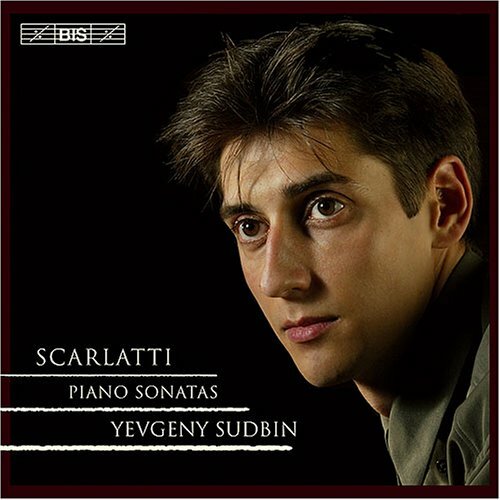 Yes, what you hear is Pletnev, not Scarlatti. in Pletnev's interpretation. I do like Olli Mustonen's usual "distortions," after all. It seems like avoiding Pletnev's Scarlatti is common around here. Any other marathonic runs of the whole thing other than Ross? That is always the case with Pletnev. Always, IMO. I found his Kreisleriana dreadful (icy cold, heard it in concert 18 months ago) but his live Chopin is breathtaking in how personal and unique it sounds (Preludes, mazurkas, to a lesser extent the 3rd sonata). Very much hit and miss, but always personal at least. Tony, I have found one exception and that is his recording of the Tchaikovsky 'Seasons' on Virgin. Very good indeed. There might be more on harpsichord alone. Fernando Valenti recorded something like one third (I think) of the Sonatas for Westminster in the 1950es. Not HIP but very expressive and colourful playing on a pre-authentic harpsichord with 16 F stop. And there is an on-going series released by Stradivarius, shared by Ottavio Dantone and Sergio Vartolo among others. I suppose that Richard Lesters integral is incomplete so far, and that it is rather expensive, but still available. But is Gilbert Rowlands integral complete, and is it available? At the moment I own the Ross integral and the Belder integral, and I feel no real need for more integrals, whereas I have put single CDs by Leonhardt, Hantäi and others on my wishlist. I am sure that the Lester is complete (7 vol. 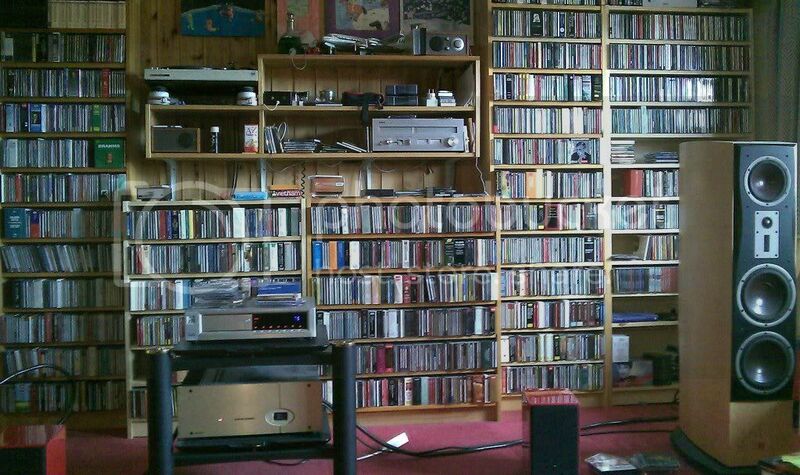 38 cd's) and actually not expensive at all in its Nimbus incarnation. (even though I think it is). About 300 Euros for the complete Lester set is just a bit, even if it may be worth the cost. Maybe Luke can say something about that. The Scott Ross used to cost a bunch also - do you recall? Belder on BC is super bargain price which is more exception than norm I think. I have about half of the Lester now and surely haven't spent more than £40.... I choose to purchase them where cheaper I suppose. The organ (only one was used) was built in the Iberlian style....including horizontal trumpets which aren't a feature of Italian organs. Lester was captivated by "the downer's" resemblance to the Madrid Royal Chapel instrument. Obviously you aren't as much. the minus of him not using (and not knowing how to use) period instruments at all. I noticed two organs. Maybe an organ built in 1984 "with a specification similar to the instrument in the Chapel of the Royal Palace in Madrid." actually means that it sounds like a Spanish period organ, maybe not. But why not the real thing? And a "a two-manual organ in Barnsley church, a village near Cirencester in Gloucestershire." does not sound particularly exciting. But I might be mistaken, of course. 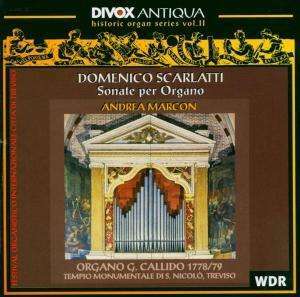 Anyway, I already have a very satisfactory recording with D. Scarlatti on organ! Even if the said organs (sorry I overlooked the one used only for two fugues) either resemble the one at the Spanish court or contain authentic 18th century pipeworks? They prefer to record in England when reasonable results in historical verisimiiitude can be obtained, and I don't blame them if they don't particularly feel like to travel just to record a few non-harpsichord/fortepiano pieces. In fact whether using Italian organs for Scarlatti sonatas necessarily is more authentic than doing so on Spanish style reproductions is debatable to say the least. 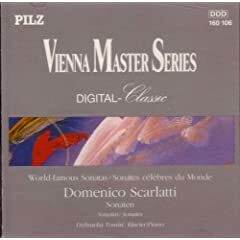 On the topic of Scarlatti on organ, there simply isn't that much Scarlatti that demands to be played/recorded on the organ. 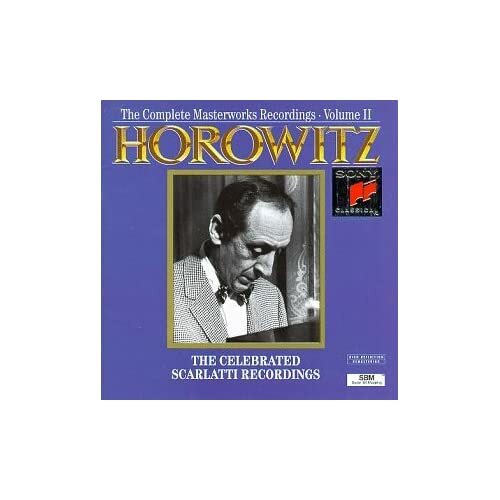 I have the Marcon recording as well, and he admits that the choice of sonatas performed on that disc was made mostly on the ground of his own conjecture! Oh, that's very true. But it sounds great! As a youngster learning the piano I heard a recording of the piano sonata in E major L23 (K380) and fell in love with the piece so much that I raced to the music store and bought a copy of the sheet music so I could learn to play it myself (much to the chagrin of my teacher). 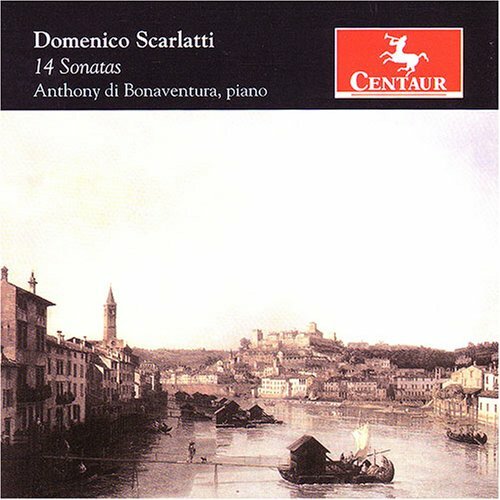 This began my life long love of this huge oeuvre and I've been investigating Scarlatti recordings ever since. Now there are also excellent Scarlatti performances by Haskil, Gilels, Perahia, ABM but they are just potpourri. If I had to choose just three from the list above then Babayan, Horowitz and Sudbin stand out. I don't know if I'd say the piano brings out the best of this music, but I certainly enjoy Scarlatti played on the piano. The Babayan disc is top-flight stuff all the way - a real treat. I enjoy Sudbin, though I'm not as bowled over by it as many people. Andras Schiff's Decca recording is surprisingly effective, even with a smooth, graceful sound. I need to try his Hungaroton disc. 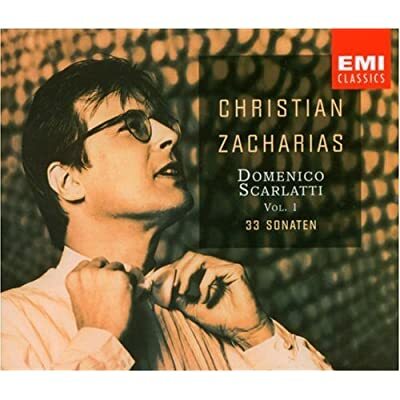 Earlier this year I picked up all four extant CDs of Christian Zacharias playing Scarlatti – the three EMI discs (in a box-set from Germany) and his more recent recording for MDG. All are superb. His flexibility and nuance is mesmerizing, and he goes for more than flash. His approach is more ‘pianistic’ than some may prefer, but I love all four discs. In addition to the limited recordings mentioned (Haskil, et al), I’ll mention Robert Casadesus. Pity he only recorded a half-dozen for CBS; his style works rather well here, too. I would add Pletnevs double on Virgin. I've been enjoying the Naxos series that features a different pianist for each volume. The only volume I did not care for much was no. 7 played by Scherbakov. I prefer these works on the harpsichord which is the better instrument for highlighting sharp contours and impetuosity. That said, the piano also has advantages.